Find Platteville, CO Homes for sale. View Photos, Maps and MLS Data Now! Detached two car garage, beautiful front yard, sprinkler system with lg concrete patio. MLS#6866020. SEARS REAL ESTATE. Old Homestead Farm - Roof 3 years old, high-efficiency furnace, central A/C, large concrete patio, outdoor water feature, front porch on a quiet street, “NO HOA” with a large oversized garage. MLS#9280621. Legacy Real Estate Group. OPEN HOUSE THIS SUNDAY APRIL 7th FROM 2-4PM MLS#1574391. Rockwell Realty. Small community living. Buyer to verify all information. MLS#6688861. K&O Realty, LLC. Vacant, can close quickly! Buyer to verify all measurements. MLS#7670498. Remax Nexus. 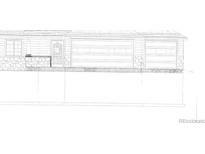 Outdoor entertaining is easy w wraparound deck and patio w bbq space and prewired for hot-tub. MLS#8095425. 8z Real Estate. HUGE BONUS is the 4-car attached garage (30 x 40) with separate workshop space (20 x 8), plus tons of extra parking outside. And NO HOA!!!! ! MLS#7862578. Crossroads Real Estate. 100% financing available. Call for your showing today! MLS#4555020. Harmony Brokers. Lake access, swimming pool and lots more amenities on 2.1 acres in prime location. MLS#9293687. Realty One Group Fourpoints. Bedroom could also be a great area for a family room. Buyer to verify all information. MLS#3100147. K&O Realty, LLC. Subdivision amenities include Riding Trails, Equestrian Center, Play Area, Bocce Ball, Putting Green, Tennis Court, Basketball Court, Clubhouse, Swimming Pool and RV Parking (Additional Fee for Pool & RV Parking) MLS#5893879. One Premier Properties Limited. Side alley access, newer double-pane vinyl windows, NEW Furnace(2018), NEW gutters. Pre-inspected. MLS#1663181. The Group Inc - Harmony. Come enjoy the amenities this house and neighborhood offer. MLS#2543405. TRELORA. 2 A/Cs, H20 heaters& furnaces. Irrig well& tap water. MLS#5576183. Kittle Real Estate. Garage will be a side load, not front load as in in pictures shown. MLS#8444037. SELLSTATE ACE REALTY. Let Pagel Contracting include make your dream a home! MLS#8404533. RE/MAX ALLIANCE. Let Pagel Contracting make your dream a home! MLS#9872807. RE/MAX ALLIANCE. NEW CARPET AND INSIDE PAINT (paint upstairs and fam. room downstairs). MLS#3237421. K&O Realty, LLC. Buyer to verify measurements and HOA Fees. MLS#8424318. K&O Realty, LLC. Conveniently located near HWY-85 and Co Rd 39. 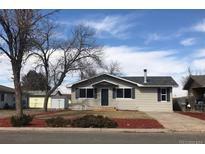 MLS#3546483. Brokers Guild-Cherry Creek Ltd..